Many people struggle at the micros these days. And the hardest thing, especially for a newer player, is to be able to pinpoint exactly where the problems are. I hate having to give a generic answer about how to approach these stakes when somebody emails me about their troubles at them. However, truth be told this is often the best that I can do. Without any real knowledge about their game there is no way that I can pinpoint exactly where the problems are either. In fact I know from coaching a lot of people at these stakes in the past that it can often take several sessions of rigorous database review and sweats to really zero in on the main issues. 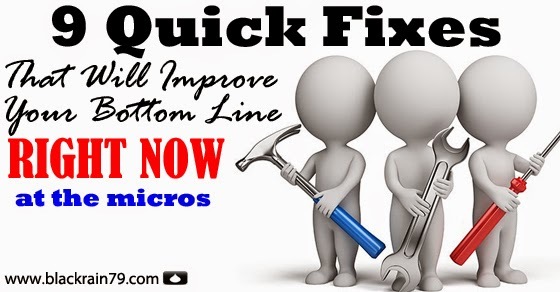 However, I think that there are several "quick fixes" that apply almost universally at the micros, especially at the lowest stakes. So much so that if a struggling NL2, NL5 or NL10 player was to make these changes right now, it would likely improve their bottom line in a significant way. They probably won't all apply to you. And they aren't going to address any major underlying issues that may exist in your game such as tilt or fundamental errors. There is no quick fix solution for these. However, hopefully a few of the suggestions below can help yield a noticeable improvement in your results in these games. 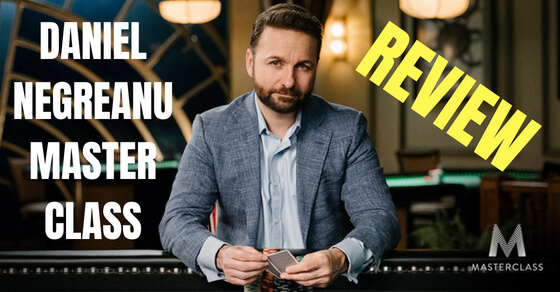 1) Make Big Bets With Big Hands Against Bad Players. When you have a big hand (top pair or better) and you are up against a recreational player you need to be betting at least 75% of the pot on every single street. If they have a better hand, believe me, they will let you know. I will get to that in a sec. Don't make half pot bets or slowplay versus these players with a big hand anymore. This is damaging your winrate more than you know. 2) Make Big Folds With Big Hands Versus Passive Players. When you have a big hand (top pair or even a big overpair) you need to be finding the fold button when a passive player raises you on the turn or the river. What is a passive player? Most players at the micros, especially at the lower end, are passive. They will typically have a low aggression factor of 1 or 2. The will have a low raise flop Cbet and raise turn CBet (often it will be a single digit). And the passive stats will usually show up in all other areas of their game as well such as 3Bet, 4Bet, attempt to steal and so on. Most regs and recreational players at these stakes will simply be incapable of raising you on the turn or the river without a monster. And I am assuming here by the way that you raised preflop and then double or triple barreled them. When a reg raises you for instance after you raised preflop, bet the flop and the turn you should view this as extreme strength almost all of the time at the micros. And yes this includes when they only mini-raise you. Many people get fooled by this. It's ok to flat with your top pair/overpair on the flop if you get raised. Sometimes they will get bold and raise on this street with a draw, decent made hand or even air. On the big money streets though (turn and river) where a raise commits a significant portion of their stack, it is literally always the nuts. Take a deep breath, hit the fold button and move on. There is literally no scenario where it makes any sense at all to limp. Imagine for instance that you have 87s on the button and three people have limped in front of you. Should you just join the limp party like everybody else and hope to hit a cheap flop? Negative. Raise them up and take control of the situation! Now you have given yourself more ways to win the pot (CBet as well as making a hand). And also, if you actually do manage to hit something good you are much more likely to get paid off now. This is because when you force somebody to put something in the middle before seeing the flop they are much more likely to give action if they catch a piece themselves. Nobody is going to pay you off in a limped pot unless you happen to cooler the crap out of them. 4) Stop Calling So Many 3Bets. At the lower end of the micros (NL2 and NL5 in particular) you would do just fine if you only called 3Bets with something like 88+ and AQ/AK. In fact in my first book, which is aimed directly at these stakes, this is the exact range that I suggest. Why? Because calling 3Bets with hands like 55, ATs or 98s, especially when out of position, is often only going to lead to more problems down the road. This is especially the case for a lot of newer poker players who do not possess a very strong postflop skillset yet. Often they will make a decent 2nd best hand and end up calling down without realizing that they actually only beat a bluff. Just do yourself a favor and fold these hands most of the time to a 3Bet at these stakes for now. Often the players at these limits aren't 3Betting you nearly as wide as you might think they are and you don't need to create any kind of image anyways. Always keep things as simple as possible at NL2 and NL5 in particular and avoid putting yourself in unnecessary marginal spots. You have much more important things to focus your attention on such as finding and slaying the fish. 5) Use a HUD and Use it Correctly. A question that I get asked a lot is this: "Can I win without using a HUD at the micros?" The answer is clearly yes. I have actually played a significant amount of my online hands without using one, although this was many years ago. Back then you could easily get away with it because everybody was terrible and ABC poker was all that you needed to know in order to win big. In today's games you can still win at the micros without using a HUD but it might be like playing a round of golf with only one club against a bad golfer like me. If you have any kind of skills on the golf course you would probably still beat me even with that one club. However, most golfers carry around 9 or 10 of them at a time for a reason. Even if they only use one or two clubs with any degree of regularity it is just nice to have all of those other options. The same thing applies to using a HUD in online poker. Even if you only have the most basic stats on your display having this extra information available can only be a good thing. Why would you not want that? The Coke and Pepsi of online poker HUDs are Pokertracker and Hold'em Manager. I personally use PokerTracker but both companies make good programs. Both have free 30 day trials so there is really no reason at all to not at least test drive one. 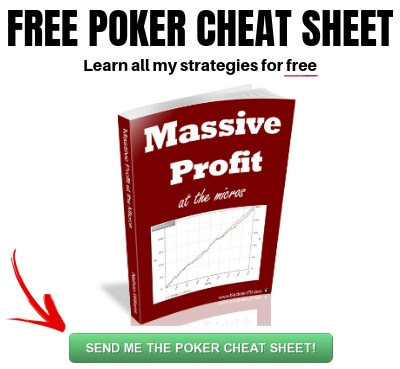 Unlike many other poker products a HUD is pretty much guaranteed to pay for itself over time. 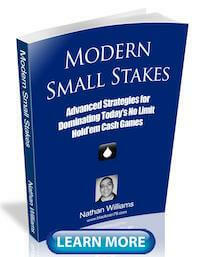 If you are at all serious about online poker then do yourself a favor and get one. You can go check out my article on custom HUD setup for additional help getting started and understanding what all of the stats mean. 6) Don't Look at Your Results During a Session. This is a quick fix that is almost guaranteed to make you start playing better right now. The reason why is that when most people start losing their level of play begins to deteriorate and they often don't even notice it happening until they are on full blown tilt and making numerous costly mistakes. If you don't actually know whether you are winning or losing though then this is much less likely to happen. You may currently be in the habit of spamming the cashier button every 5 minutes. Don't worry I used to do the same thing. It is not easy to break this habit at first. But what you need to remember is that poker is all about the long run. I don't bother paying attention to my day to day poker results. You have to remember that it is basically impossible for you to ever play a meaningful sample size of hands in a single session. In fact I think the world record may still belong to Chicago Joey and his legendary prop bet from a few years back to play 50k hands in 24 hours at NL25 with a positive winrate. But even 50k hands is still not really a rock solid sample. As I always say, I believe that 100k hands is the minimum amount that you must have before you can say anything with absolute certainty about your winrate in a particular game. So those 500 or even 5000 hands that you will play in your next session are actually pretty meaningless in the grand scheme of things. Try resisting the urge to look at your cashier for just one session and see how it works out for you. 7) Always Play With Fish! Set a new rule for yourself starting from today. Anytime you are at a poker table there must be somebody there who is playing 40% or more of their hands or else you leave. No ifs, ands or buts. If you have just joined the table and there is nobody who you have previously tagged as a recreational player but there are a few unknowns then that is fine, take a seat. However, it only takes about 20 hands at the most to know the basic player type of every single person at the table (VPIP/PFR/AF). Therefore if after 2 orbits in full ring (3 in 6max) you do not spot anyone with a VPIP that is 40% or above, it's time to leave. Same thing applies after you do find the mark. If they leave the table, so do you. It just cannot be overstated how huge this is for your winrate in today's games. If you really want to crush then you will go the extra mile and always do this. If you play Zoom this can be quite a bit more difficult of course and this is a huge part of the reason why I do not really suggest playing Zoom unless you are a prolific rakeback grinder. It is very difficult to assess the quality of the pool unless you have extensive data and tags on a lot of the people playing. With that said, there are still fish everywhere at least at NL2 and NL5 these days so it should not be too big of a problem at these stakes. However, you still need to make sure that 40%+ VPIPs are regularly showing up at your tables. If they are not, then it's time to leave. But better yet do yourself a favor and just play the regular tables if crushing is really a priority for you. For much more on finding the rec players go check out my ultimate guide to table selection. 8) Stop Open Raising From the SB so Much. Most people these days know that it is a good idea to steal the blinds a lot against the passive nits who populate the micros in large numbers. And I totally agree if you are on the button or the cutoff. But a lot of people take this too far and raise nearly any two when it is folded to them in the SB as well. After all there is only one person to beat here right? Even better! Correct, but there is a fundamental difference between these two situations. When we are on the button or the cutoff we are in position. When we are in the SB we are not. If the BB happens to be a totally clueless mass tabling nit then go ahead and steal his blinds all day long. But if he looks even remotely competent chances are you are going to be spewing money by raising with a really wide range here. This is because even most mediocre regs at the micros these days know that many people raise too much in this spot and therefore they should increase their 3Betting range. I personally 3Bet the crap out of people who do this a lot especially when I see that they don't fight back very often (which is most of them). Don't raise any two when it is folded to you in the SB. Any decent reg at the micros these days will make you pay for it. 9) 3Bet Light Against the Right Opponents. There are plenty of regs at the lower end of the micros who will fold everything but the nuts when they get 3Bet. 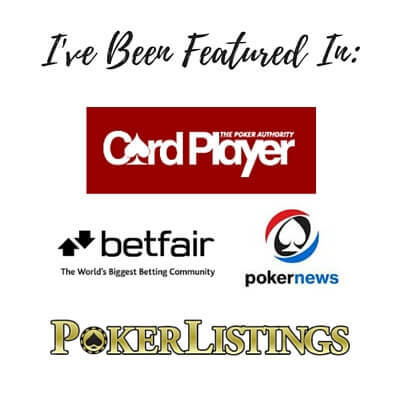 Frequently 3Bet these players with hands that you would normally just call with and even a few that you would normally fold. These players are easy to spot because they will have a Fold to 3Bet of 70%, 80% or even higher. Be sure to only 3Bet them light when they open somewhere close to the button. Do not 3Bet their early position open with weak holdings because they will often have an extremely strong range in these spots. 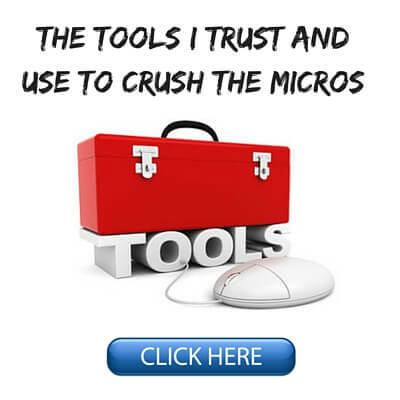 I hope that this list of "quick fixes" will be useful to you at the micro stakes cash tables. The one thing that all of these suggestions have in common is that they are fairly easy to apply immediately. And believe me, from years and years of experience at the micros, and especially the lowest stakes, (NL2 and NL5) I know that they all still work exceedingly well. Commit to taking action on a few of these in your very next session and I promise you that better results will follow. Let me know your thoughts in the comments below. 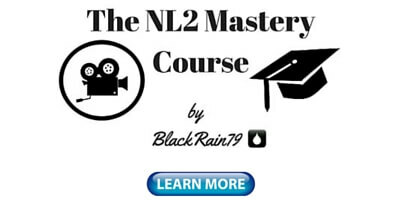 Even though I am way passed NL2 and NL5 (Thanks to you!) 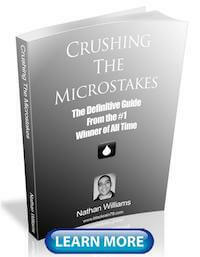 I still read your tips regarding the micros. 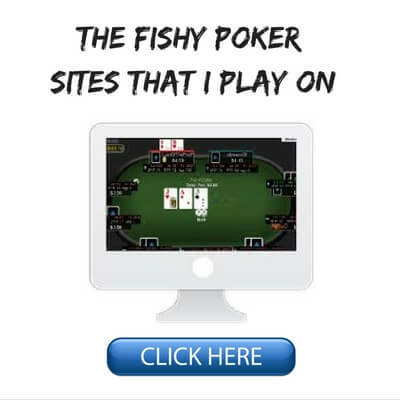 Its a great reminder for how to play fish. Sometimes I find myself losing money to fish because I give them too much credit. Still great reading your advice! Thanks for the kind words Kthonenice and I am happy to hear about your sucess! How about live?.Same? Minus the HUD of course. And there,s the added what do they think of me factor. Online I hate multi tabling so iM afraid I won't ever get to the long run. Your thoughts? Always enjoy and benefit from your info. Thank you. I think only #5 and #6 won't apply to live games here. Obviously there is no HUD and since your chips are always right in front of you it is going to be pretty difficult to ignore your results! When I say 100k hands to get to the long run that doesn't actually mean that you need to play this amount of hands at every limit before moving up. This would indeed take forever when one tabling. You are just going to have to believe in your abilities and the results that you have seen so far a little bit more when playing live or extremely low volume online. I wrote a long comment earlier and I think I messed something up and it got deleted. I ll rephrase and make it shorter this time. Nice post! Regarding #1, say we have a decent sample on a 40% VPIP fish and he folds to CBets 75%. Is that something that you would take into account and maybe go for a check instead of a big Cbet w say TPTK? or just always go for the bet no matter what? Thanks! Good to hear from you! To your question yes, I may decide to check in a scenario like that. But there aren't too many 40%+ VPIP guys that I have ever seen who play like this. If you have the sample and see somebody who clearly plays way differently that the norm amongst rec players then for sure, go ahead and mix things up. Great tips! Specially number 2. I got scared when filtered my winnings with "call any river bet", and saw how many buyins i had thown away by making that silly call. Great post as always Nathan! Already started adding those fixes, #6 is one of the best there. Thanks for all of the work you put into the blog! Thank you for being a loyal reader Jorge! I was wondering what you think about starting out weak-tight and then building your game from there(as opposed to starting out with wider ranges, stealing a lot based on opponents' stats, floating or double barrelling sometimes, etc. ), and thus how relevant this article is to today's NL2 and NL5 games(article was written in late 2009): http://forumserver.twoplustwo.com/78/micro-stakes-full-ring/complete-guide-beating-micros-430637/ . Basically, the article says that you should start out weak-tight, first become a winning player, and then learn how to crush by gradually becoming tight-aggressive. It's actually a pretty long read so, specifically, I want to ask you about this situation: You raise 3x with QTo from CO and get 3 callers. Flop is Q77. You bet 2/3 of the pot and get raised by someone(anyone who isn't a complete maniac). You fold without thinking about the raiser's range or stats, since you only have TPMK and could be beat by TPTK or a set, and you figure you'll just wait for a better spot. Essentially, you're going for fat value only and staying away from marginal situations and thin value(this is what the article suggests). You play 8+ tables anyway and don't have too much time to mull over marginal situations. Do you think you could beat the NL2 and NL5 games today with this kind of approach for a good winrate(over 5bb/100)? What about when the author says that "One thing is very profitable at these limits that isn’t profitable anywhere else. Limping...any pocket pair from almost any position and it will be a +EV play..."? I have seen that article linked many times but I have not read it so I don't want to comment on it. I think a weak/tight approach can easily still beat NL2 or NL5 but it is not optimal. hate to be "that guy", but in #7 you say "It just cannot be understated how huge this is for your winrate "
Hello Nate. Great food for thought here and I will apply all of the insights in this artricle to my own game. As far as table selection though, my options are quite limited. Bovada, ACR, Black chip and Carbon are my only choices and that offers very little in regards to table selection. ACR only has like two 2c full ring tables going at a time and half the players you play in one room are in the other room as well. What would your advice be about table selection in my situation? The good news though is I am only 30 min from California. Hope that online bill goes through and pokerstars comes out west. Thanks for the kind words. Table selection is difficult these days if you are in America. No two ways about it. From what I have seen on many of these networks of late though the games are actually amazing even at much higher limits. So the situation is not all bad.